Crazy To Be Lazy!! Create A Plan For Exercise, Diet And Healthy Living Today! The number one reason people don’t move and exercise regularly is that they are lazy. Often people don’t start a healthy eating plan or diet because they are LAZY. Many don’t take responsibility for their health and cover up pain with pills and shot because they are lazy. Get Off Your Duff! Enough Is Enough! Do something today about your life – create a plan for exercise, diet and healthy living and act on it today. Get started now! 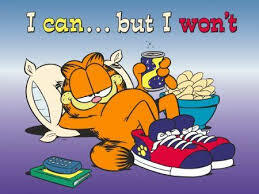 If you don’t … then you are LAZY! Written by Dr. Dan Davidson, Chiropractic and founder of the Back Resort & Rejuvenation Health Center – Dr. Davidson has spent 30 years helping patients live Drug Free Healthy – offering natural approaches to pain resolution.